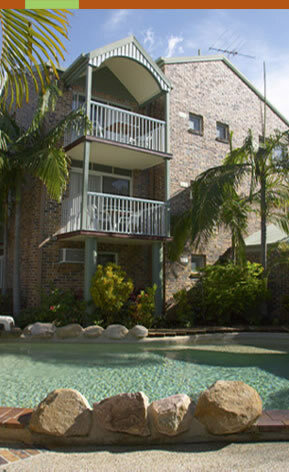 Toowong Villas | Where have the days gone? 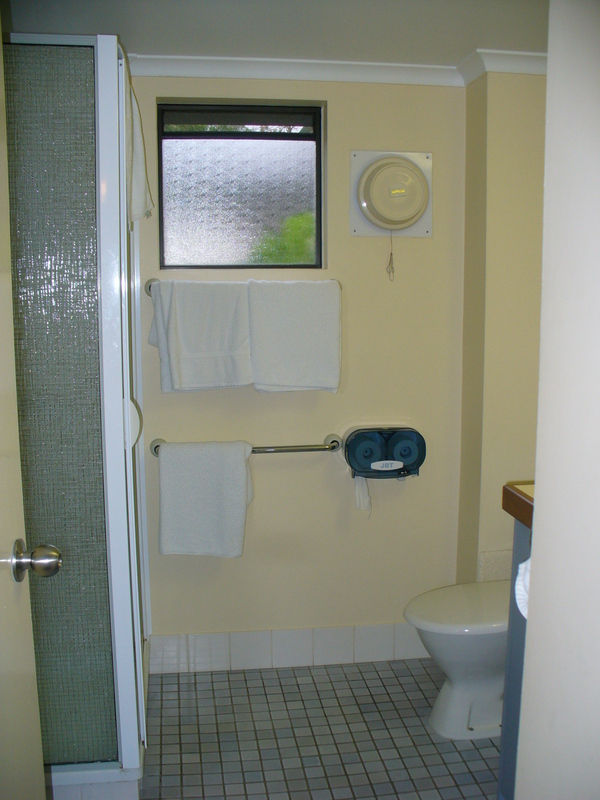 Our home for the two nights in Brisbane was the Toowong Villas complex in the Toowong (te-WONG) neighborhood. We had a studio apartment with one bed (since Alex was still at his own apartment), which was on a lower level, but with a little private walled patio out back. 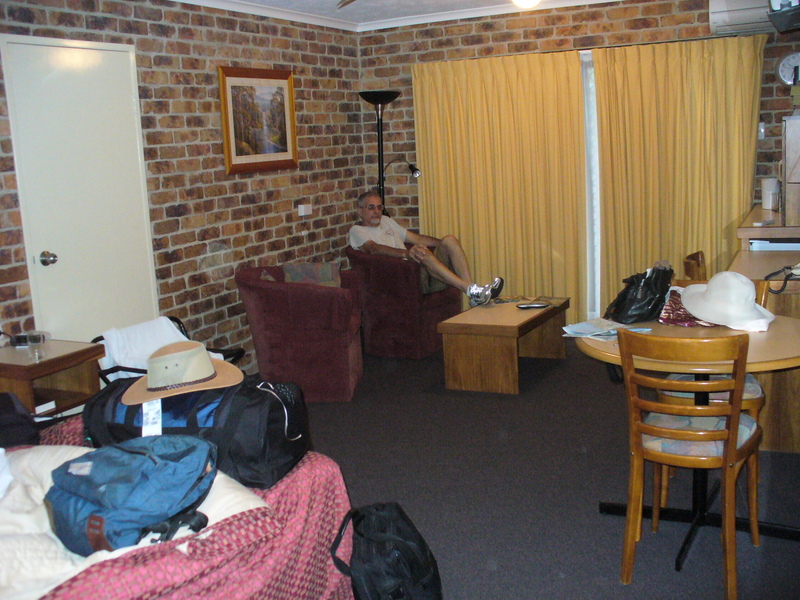 The room had a nice seating area, table, desk, little fridge, electric kettle, microwave, dishes. Wireless internet was available for $14/hour, so I bought an hour in order to check email and be able to look up ferry routes, restaurants, etc. 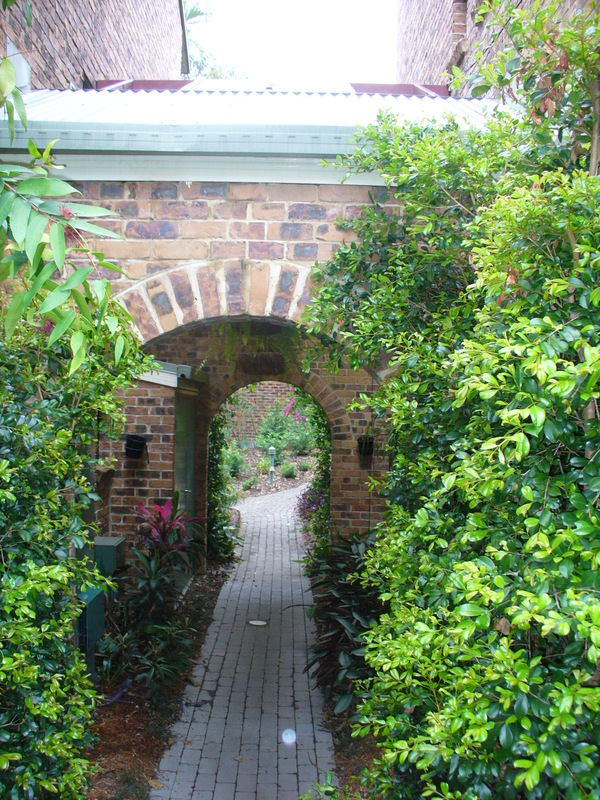 No breakfast was included, but there was covered parking, a plus in the hot Brisbane summer. A nice-looking pool was nestled in the lush gardens, but we were too busy seeing the sights to use it. All in all, it was a decent place, and a pretty good value at A$115/night, though the walls were kind of thin between apartments.